Buying a mattress is a highly personal decision that involves the consideration of several factors. 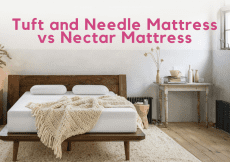 Before we review the 4Sleep and Leesa mattresses, let’s review the factors that determine the type of mattress the matches your sleeping needs. “To each her own” represents the dominant theme for purchasing a mattress. Before you visit a bedding store, prioritize a list of the factors to help you make the right choice. After all, buying a mattress influences your health, especially the health of your neck and back. Also referred to as firmness, body support plays a huge role in determining the brand and style of mattress you opt to purchase. Virtually every mattress manufacturer presents a mattress body support scale from 1 to 10. However, pure numbers do not tell the entire mattress firmness story. We might start sleeping in a straight line, but throughout the night, we move to practically every spot on a mattress. 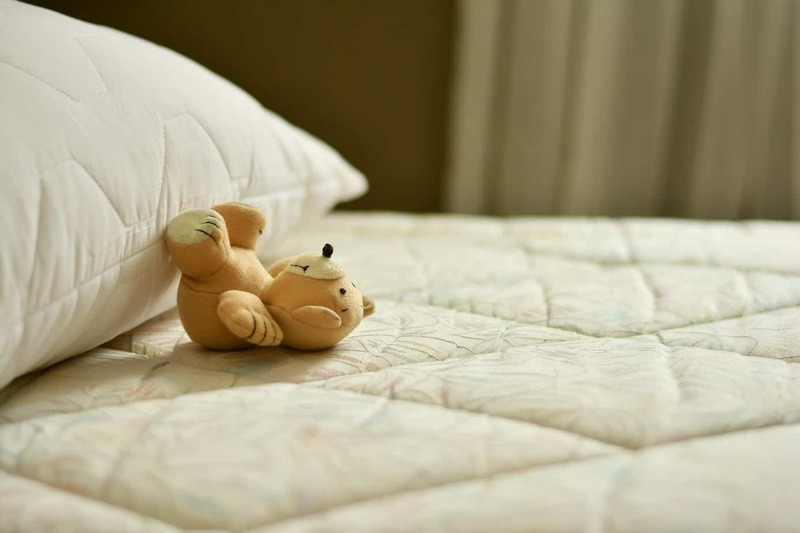 How the mattress supports the different sleeping positions determines your buying decision. 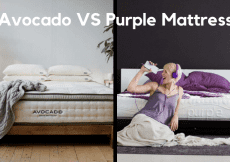 Although it is financially savvy to create a budget for buying a mattress, price alone should not determine which brand and style of mattress you decide to bring home. Tossing and turning throughout the night on a mattress that sags is not worth pinching pennies. You cannot put a price on your health. Therefore, spend what it takes to ensure long lasting comfort and durability. Moreover, stay away from used mattresses; new mattresses do a much better job of conforming to your body shape and movements during the night. Many types of foam mattresses cause allergic reactions whenever chemicals leech. The usual allergy suspects of dog dander and dust mites accumulate under mattresses. If you buy a mattress that leaves plenty of space between the mattress and baseboard, you can expect to collect considerable allergens. The same usual suspects also accumulate on the sides of mattresses. Some latex foam mattresses in mint condition generate enough sneeze inducing allergens to turn your night into a toss and turn fest. Most mattress manufacturers include allergen information to help consumers make the right choice. However, you are probably better off reading online reviews written by neutral third parties. “The longer, the better.” Five years should represent the minimum amount of time specified in a mattress warranty. The 4Sleep mattress comprises four different foam layers, with the top layer containing one and a half inches of gel memory foam designed to provide the optimal sleeping temperature. Created to contour around the body to mitigate pressure points and offer consistent body support, the top gel foam layer is followed an energy absorption layer, deep compression support layer, and the fourth layer measuring seven inches of high-density support. Two and a half inches of foam layer runs along the edges to reinforce the perimeter of the mattress for both sitting and sleeping support. Ranking 7 out of 10 on the firmness scale, the 4Sleep mattress sits on the firmer end of the scale. Consumers who need above average support for the back and hips should consider testing out the 4Sleep mattress. The mattress requires a few seconds for the top layer to conform to a wide variety of body shapes and sizes and as it contours around the body, you should experience a slight movement downward of about one and a half inches. The 4Sleep mattress is more responsive to the body than other types of memory foam mattresses. For comfort, the 4Sleep mattress makes a favorable impression, as it sleeps unexpectedly cool for a memory foam mattress. Tests performed to measure motion transfer reveals the 4Sleep mattress sinks about one inch for a person in a lying position, which represents an average number for mattress sinkage. However, the contoured hug is much more prominent when you assume a lying position. Sitting causes the mattress to transfer motion about two and a half inches in the middle of the mattress and four inches at the edge of the mattress. Standing on the 4Sleep mattress transfers body motion nearly five inches. With the extra edge of layering support, the motion transfer numbers for sitting on the edge of the mattress should be much better. 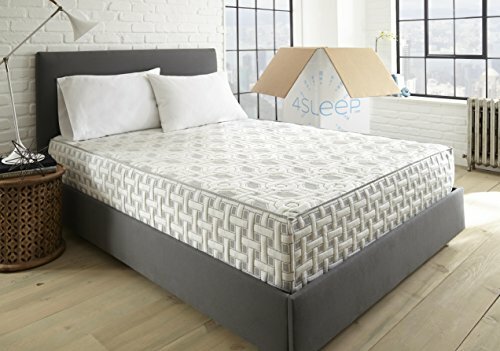 Pricing for the 4Sleep mattress ranges between $799 for a full to $999 for a king (For the latest prices and discounts, check here). The queen size 4Sleep mattress costs $899 (For the latest prices and discounts, check here). Shipping, which arrives within five days compressed inside of a box, costs you nothing. Several mattress websites, such as the one run by Sleepopolis, offer discounts for customers who enter a promotion code. 4Sleep offers a quick 100% money back guarantee for unhappy customers. The 100-day trial period should provide you with plenty of time to see if the 4Sleep mattress is worth what the company charges. 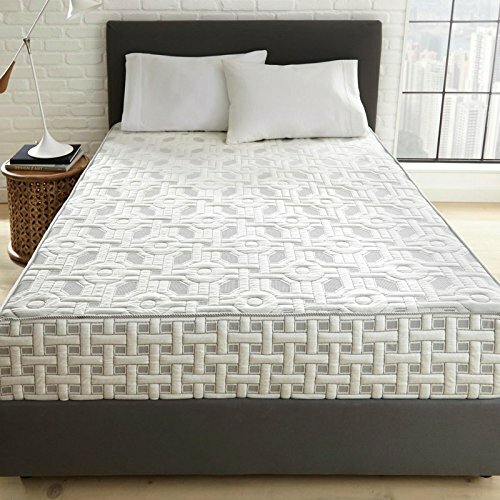 Leesa has earned the reputation of designing and manufacturing high-quality mattresses at reasonable prices. 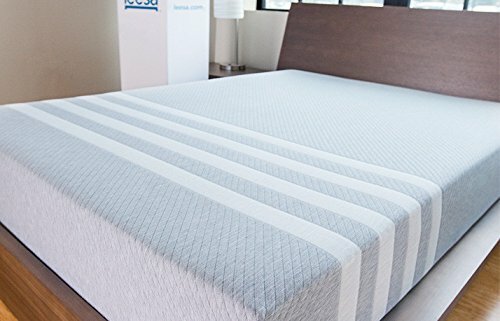 However, how does the Leesa mattress fare against the 4Sleep mattress? 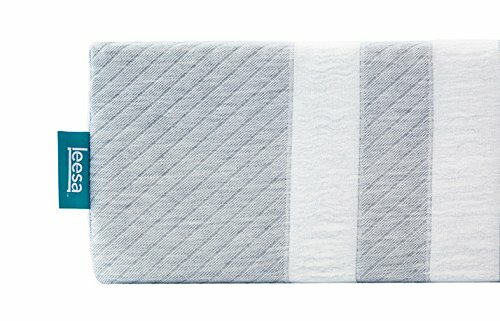 Leesa mattresses use three layers of foam, compared to the four layers used by the 4Sleep mattress. The top layer consists of two inches of Avena foam. Avena represents the patented foam that performs like latex foam by offering cool comfort and tremendous bouncing. Yet, Avena foam is much more durable than latex foam. Two inches of middle layer support ensures pressure point relief and deep compression support for adults who carry above average weights. The foundational layer has six inches of high-density support foam that possesses a high breathability rating. Leesa mattresses are considered hybrid mattresses that offer the benefits of Avena foam and memory foam. The advantage Leesa has over 4Sleep in the layering category is the strong airflow that cools the body, as it warms up in deep sleep. Most mattress manufacturers design mattresses to rank 6 out of 10 on the firmness scale, and the Leesa mattress does not vary from the norm. This means the 4Sleep mattress offers more firmness, which helps customers with neck and back problems. The Leesa mattress sits on the high end of factory direct mattresses in terms of foam thickness. When you first assume a lying position, the mattress instantly feels soft and it subtly hugs the body. It takes only a few seconds for the foam to contour your body shape. Moderate sinkage and minimum motion transfer make the Leesa mattress ideal for couples. Assuming a normal lying motion produces nearly two inches of motion transfer, while sitting on the edge of the bed transfers about 3 and a half inches of motion. The one-half inch improvement in edge motion transfer gives the Leesa mattress a win over the 4Sleep mattress in the motion transfer category. Standing in the middle of the mattress produces four and a half inches of motion transfer. During several independent tests, the Leesa mattress never collapsed or experienced a compromised structure. Leesa prices the mattresses in its lineup at around the average price point for factory direct mattresses. The company offers twin and twin XL mattresses that cost less than the most inexpensive mattress offered by 4Sleep. Leesa full and queen king size mattresses cost about the same as what 4Sleep charges for similar size mattresses. However, the Leesa King mattress runs $100 more than the 4Sleep king mattress. Leesa offers a 100-day in-home trial period, which equals the length of the trial period offered by 4Sleep. If you are not satisfied with a Leesa mattress after 100 days of use, the company will refund your money. Free shipping sweetens the discounts Leesa promotes online. Both the 4Sleep and Leesa mattresses ensure supreme comfort for adults of most body shapes and sizes. With similar price points (except for the Leesa king), money does not play a role in determining which mattress to buy. Consumers who are allergic to Avena should stay away from the Leesa mattress. Otherwise, shop by following the adage to trust the more established company. 4Sleep is a new entrant into the mattress field, with Leesa having established years of strong customer support. For consumers who want a firmer than average mattress, order the 4Sleep mattress for a 100-day money back trial run. Both mattresses possess high breathability ratings, which produce optimal sleeping comfort on the warmest nights of the year. The Leesa mattress does a better job of circulating air between layers. A Review of SnoreRx - Does It Really Work? MyPillow Premium vs Miracle Bamboo Pillow - Which Pillow Should You Buy?